Apartments AnRi is located in Brela which is only 20 km away from the exit from the A1 Zagreb – Split highway. For updates about the situation on the roads, please visit http://www.hak.hr/novosti/stanje-na-cestama.aspx. 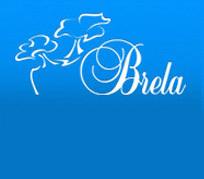 Brela is connected to major European cities by air via international Split Airport, only 70 km away from Brela. More information is available at www.split-airport.hr and www.croatiaairlines.com. More information is available at www.jadrolinija.hr.